Wildwood, Florida United States - Just listed awesome private courtyard villa with water view! | RE/MAX PREMIER REALTY Inc.
Just listed awesome private courtyard villa with water view! Your home away from home, don't let this one get away! This three bedroom/two bath courtyard villa in the Village of Fenney, has a private back yard with great water view. The Hyacinth lay out has a great open floor plan and all the privacy of a courtyard villa without all the walls. 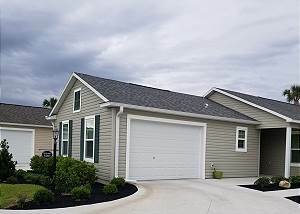 Professionally decorated with everything you need to move in and enjoy The Villages lifestyle. The home has carpet and tile throughout with plenty of seating for you and your guests. Flat screen TV's in all 3 bedrooms, the master bedroom has sliding glass doors opening to the screened lanai. As with all of our rentals, this is a non-smoking home.